At Maryland Heights Family and Acute Care we value every patient and treat you as a member of our family. 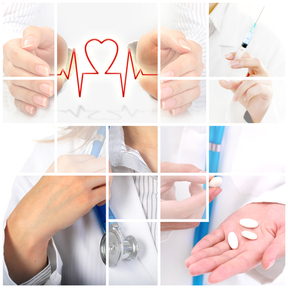 We are determined to address your medical needs as completely and caringly as possible. Our friendly and compassionate staff, led by America's Top Family Doctor (nationally recognized and awarded in 2007 and 2008), strives to deliver the highest quality medical care. The scope of our practice encompasses Adult Medicine, Pediatrics and office GYN, including various office procedures and diagnostic tests. While caring for you to the best of our ability, we are also considerate of your time and will work around your busy schedule. Therefore, in addition to our regular hours, we also offer evening and Saturday appointments. We welcome new patients to experience our services and to become members of our family at MHF&AC. To schedule an appointment, please call: 314-770-1777. Page Design by Fowler Consulting. Copyright 2018.